Cater for developers, not the business analysts. (More on this later). This may seem like a pretty poor list, because if you are a developer, you might be taking all of these as granted. Because of that, I wanted to display a small taste from what used to be Microsoft’s primary workflow engine. A small hint… this kind of system is not going to be useful for anything relating to source control, change management, collaborative work, understanding what is going on, etc. A better solution for this would be to use a tool that can work with source control, that developers are familiar with and can handle the required complexity. That tool is called… code. It checks all the boxes required, naturally. But it does have a distinct disadvantage. One of the primary reasons you want to use a workflow engine of some kind is to decouple the implementation of your business from the policies of the business. Coming back to the mortgage example, how you calculate late fees payment is fixed (in the contract itself, but usually also by law and many regulations), but figuring out whatever late fees should be waived, on the other hand, is subject to the whims of the business. That is a pretty simple example, but in most businesses, these kind of workflows adds up. You can easily end up with dozens to hundreds of different workflows without the business being too big or complex. There is another issue, though. Code is pretty good when you need to handle straightforward tasks. A set of if statements (which is pretty much all most workflows are) are trivial to handle. But workflow has another property, they tend to be long. Not long on computer scale (seconds), but long on people scale (months and years). The typical process of getting a loan may involve an initial submission, review by a doctor, asking for follow up documentation (rinse – repeat a few times), getting doctor appraisal and only then being able to generate a quote for the customer. Then we have a period of time in which the customer can accept, a qualifying period, etc. That can last for a good long while. Trying to code long running processes like that require us a very unnatural approach to coding. Especially since you are likely to need to handle software updates while the workflows are running. In short, we are in a strange position: we want to use code, because it is clear, support software development practices that are essentials and can scale up in complexity as needed. On the other hand, we don’t want to use our usual codebase for that, because we’ll have very different deployment strategies, the manner of working is very different and there is a lot more involvement of the business in what is going on there. The way to handle that is to create a proper boundary between parts of the system. We’ll have the workflow behavior, defined in scripts, that describe the policy of the system. These tend to be fairly high level concepts and are designed explicitly for the rule of business policy behaviors. The infrastructure for that, on the other hand, is just a standard application using normal software practices, that is driven by the workflow scripts. I want to give you a sneak peak into how I envision this kind of system, but I’ll defer full discussion of what is involved to my next post. The idea is that we use the script to define our policy, and then we use that to make decisions and invoke the next stage in the process. You might notice that we have the state variable, which is persisted between invocations. That allow us to use a programming model that is fairly common and obvious to developers. We can usually also show this, as is, to a business analyst and get them to understand what is going on easily enough. All the actual actions are abstracted. For example, life insurance setup is a completely different workflow that we invoke. In my next post, I’m going to drill down a bit into the details of this approach and what kind of features do we need there. One of the most common themes I run into when talking to customers, users and sundry people in tech is the repeated desire to fire developers. Developers usually want to focus on the interesting bits, and the business logic portions aren’t that much fun. The business analysts usually want to get things done and having to get developers to do that is considered inefficient. If only there was a tool, or a pattern, or a framework, or something that would allow the business analysts to directly specify the behavior of the system… Why, we could cut the developers from the process entirely! And speaking as a developer, that would be a huge relief. I think the original name for that was CASE tools, and that flopped. In fact, literally every single one of the attempts to replace developers by a tool has flopped. They got such a bad rap that people keep trying to implement them using different names. Some stuff can be done fairly easily, though. WYSIWYG for GUI is well established and Wordpress and WIX, to name the two examples that come to mind immediately, show that you can have a non techie build a proper website. In fact, you can even plug in some pretty sophisticated functionality without burdening the user with too much. But all that takes you to a point. And past that point, the drop off is harsh. Let’s take another common tool that is used to reduce the dependency on developers, SharePoint. You pay close to double for actual developer time on SharePoint, mostly because it is so painful to work with it. In a recent conference, I got into a conversation about business workflows and how to best implement them. You can look at the image on the right to get a good idea about what kind of process they were talking about. This looks good, and it certainly should make sense to a business analyst. However, even after I pretty much reduced the process to its bare bones and even those has been filed away, this is still pretty complex. 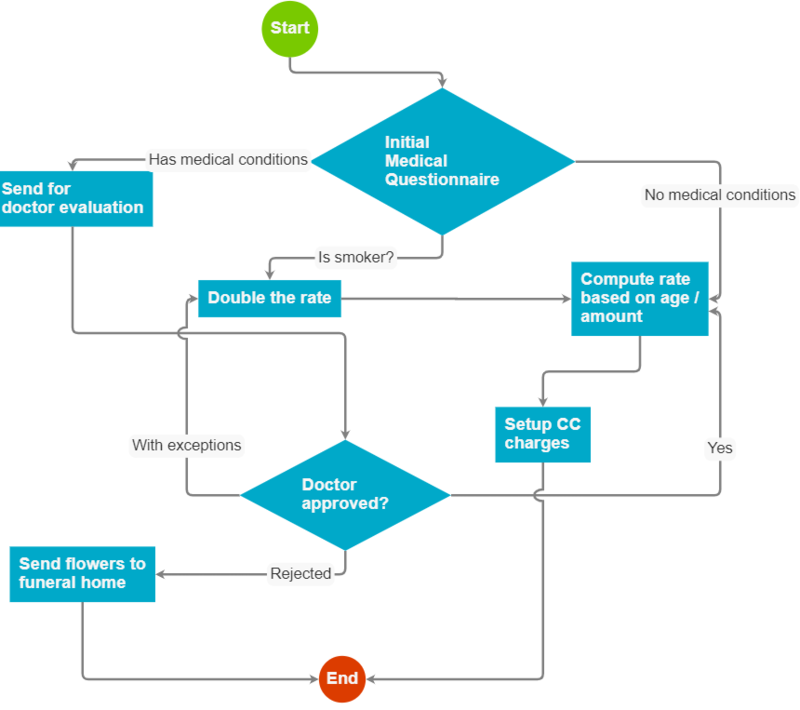 The process of actually getting a policy is actually a lot more complex. Some questions don’t require doctor evaluation (for example, smoking) and some require supplemental documentation (oh, you were hospitalized? Gimme all these records). The doctor may recommend different rates, rejecting entirely, some exceptions in the policy, etc. All of which need to be in the workflow. Actuarial tables needs to be consulted for each of those cases, etc, etc, etc. But something like the diagram above isn’t going to be able to handle this level of complexity. You are going to get lost very quickly if you try to put so many boxes on the screen. And you’ll probably want to have a way to develop these business workflows, which means that they aren’t static. So you need source control. And if you have a complex business process, you likely have different people working on it. So you need to be able to review changes, and merge them. Note that this is explicitly distinct from being able to store the data in source control. Being able to actually diff in a meaningful fashion two versions of such a process is anything but trivial. 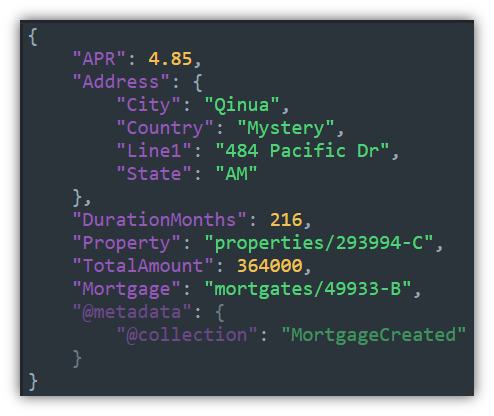 Usually you are left with diffing the raw XML / JSON that store the structure. Good luck with that. If the workflow is complex, you need to be able to understand what is going on under various conditions. So you need a debugger. In fact, pretty soon you’ll realize that you’ll need quite a lot of the things that developers do. Except that your tool of choice doesn’t do that, or if they do, they do it poorly. Another issue that even if you somehow managed to bypass all of those details, you are going to be facing the same drop that you see elsewhere with tools that attempt to get rid of developers. At some point, the complexity grows too large, and you’ll call your development team and hand of the system to them. At which point they will be stack with a very clucky tool that attempt to be quite clever and easy to use. It is also horribly limiting for a developer. Mostly because all of the “complexity” involved is in the business process itself, not in the actual complexity of what is going on. There are better ways of handling that, and the easier among them is to just use code. That can be… surprisingly versatile. I wanted to point out the RavenDB Customers Portal website, because it has a very important function that may not seem obvious. As part of the process of setting up RavenDB, we provide our users with a domain name so they can run their clusters securely. This is pretty easy and has been used by thousands of our users. However, advanced scenarios, such as adding a node to a cluster or changing a node IP required you to re-run the setup and weren’t convenient. We have now made it even simpler, you can use the customers portal to edit your cluster DNS configuration. This is available to customers who purchased a commercial license as well as users running on the community edition. As usual, we would love to get your feedback. I was reminiscing about some old code that I wrote a long while ago, in the heyday of ASP and when the dotcom bubble was just starting to inflate. At the time, I was either still at high school or just graduated and I was fascinated by the ability to write web applications. I wrote quite a few of them, as I recall. Thankfully, none of them ever made it to this day and age. I remember one project in particular that I was quite proud of. I wrote a bunch of BBS / forum systems. 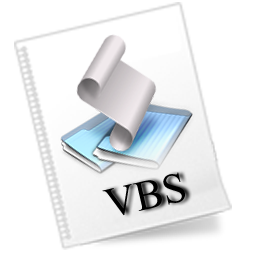 One version used an Access file as the database. IIRC, that is literally how I learned SQL for the first time. The other BBS system is what I’m here to talk about today. You couldn’t always get Access, and having it installed on the server was PITA. Especially given that I was pretty much limited to hosts that offered free hosting only. So I decided to write a BBS system that had no dependencies whatsoever and can be deployed on any host that could handle ASP. Note that this is ASP classic, .NET is still 2 years away from alpha status at this time and Java is for applets. I decided that I would write everything through file I/O, but that was quite complex. I needed something that would help me out. Then I realized that I could use ASP itself to help me. Instead of having to pull data at runtime from a file, parse it, process it and so on, I could lean on ASP itself for that. Trigger warning: This code is newly written, but I still remember the shape of it quite well. This may cause you seizures. For the full beauty of this piece of code, you need to consider that this is a very small piece of a much larger codebase (all in a single file, of course) but it is a very much a reprehensive representative example. I’ll give you a moment to study the code. It deserve that much of your attention. What you see here is a beautiful example of using code as data and data as code, self modifying code and some really impressive (even if I say so myself) capabilities of my past self to dig himself way into the hole. Bonus points if you can point out all the myriad of issue that this code has. You can safely leave aside maintainability, I never had to maintain it, but over twenty year have passed, and I still remember the complexity involved in keeping all the states in my head. And that was the first time that I actually wrote my own dedicated database. I spent the last couple of days in the O’Reilly Architecture Conference and HIMSS (Healthcare Information and Management Systems Society) Conference. During that time, I had the chance of listening to quite a few technical marketing spiels. Some of them were technically very impressive, but missed the target by a planet or two. I came up with a really nice analogy for how such presentations do a great disservice for their purpose. This non-steroidal drug has been clinically tested and FDA approved will cease the production of prostaglandins and has a significant antiplatelet effect. It’s available in tablet and syrup forms and is suitable for IVs. May cause diarrhea and/or vomiting. This is factual (at least as much as I could make it), I assume that if you are a medical professional you might be able to work out possible uses for this drug. But the most important thing that is missing from this description? What does this do? This is Ibuprofen and you take it to ease your headache (among many other uses). It can also protect help you avoid blood clots. Whatever this product can actually ease the pain. Whatever this customer actually experience the pain. For example, if you are promising to have a faster than light bullet-train to Mars, that is going to cast some… doubt on your claims. On the other hand, it doesn’t matter to me if you can cut down my commute time in half if I can get to work while not leaving my house. If the customer experienced the pain and believe that you can actually help there, you are most of the way there. All that is left is just negotiating, barrier removal, etc. 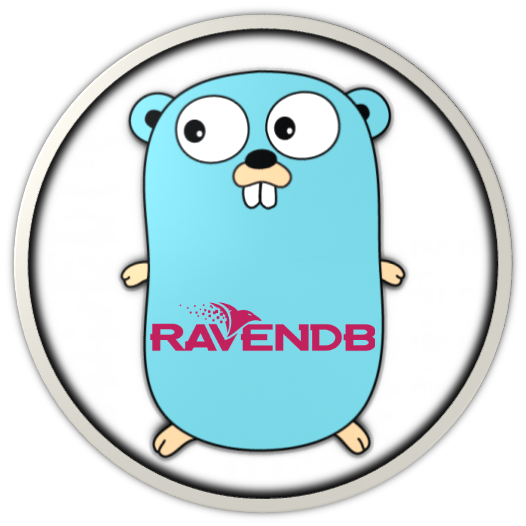 I’m really happy to announce that we are very near to releasing an official Go client for RavenDB. You can read the API docs or go over the examples and what we most need right now is people who aren’t familiar with the code to take it for a spin and see if they can break it. I would really appreciate any feedback you have on the new client. This is a sordid tale of chance and mystery and the nasty tricks that Murphy can play on you. One such case might be a disk corruption, but multiple customers reporting it is an indication of a much bigger problem. That was a trigger for a STOP SHIP reaction. We consider data safety a paramount goal of RavenDB (part of the reason why I’m doing this Production Postmortem series), and we put some of our most experienced people on it. The problem was, we couldn’t find it. Having access to the corrupted databases showed that the problem occurred on random. We use Voron in many different capacities (indexing, document storage, configuration store, distributed log, etc) and these incidents happened across the board. That narrowed the problem to Voron specifically, and not bad usage of Voron. This reduced the problem space considerably, but not enough for us to be able to tell what is going on. Given that we didn’t have a lead, we started by recognizing what the issue was and added additional guards against it. In fact, the error itself was a guard we added, validating that the data on disk is the same data that we have written to it. The error above indicates that there has been a corruption in the data because the expected checksum doesn’t match the actual checksum from the data. This give us an early warning system for data errors and prevent us from proceeding on erroneous data. We have added this primarily because we were worried from physical disk corruption of data, but it turns out that this is also a great early warning system for when we mess up. The additional guards were primarily additional checks for the safety of the data in various locations on the pipeline. Given that we couldn’t reproduce the issue ourselves, and none of the customers affected were able to reproduce this, we had no idea how to go from there. Therefor, we had a team that kept on trying different steps to reproduce this issue and another team that added additional safety measures for the system to catch any such issue as early as possible. The additional safety measures went into the codebase for testing, but we still didn’t have any luck in figuring out what we going on. We went from trying to reproduce this by running various scenarios to analyzing the code and trying to figure out what was going on. Everything pointed to it being completely impossible for this to happen, obviously. We got a big break when the repro team managed to reproduce this error when running a set of heavy tests on 32 bits machines. That was really strange, because all the reproductions to date didn’t run on 32 bits. It turns out that this was a really lucky break, because the problem wasn’t related to 32 bits at all. What was going on there is that under 32 bits, we run in heavily constrained address space, which under load, can cause us to fail to allocate memory. If this happens at certain locations, this is considered to be a catastrophic error and requires us to close the database and restart it to recover. So far, this is pretty standard and both expected and desired reaction. However, it looked like sometimes, this caused an issue. This also tied to some observations from customers about the state of the system when this happened (low memory warnings, etc). The very first thing we did was to test the same scenario on the codebase with the new checks added. So far, the repro team worked on top of the version that failed at the customers’ sites, to prevent any other code change from masking the problem. With the new checks, we were able to confirm that they actually triggered and caught the situation early. That was a great confirmation, but we still didn’t know what was going on. Luckily, we were able to add more and more checks to the system and run the scenario. The idea was to trip over a guard rail as early as possible, to allow us to inspect what actually caused it. Even with a reproducible scenario, that was quite hard. We didn’t have a reliable method of reproducing it, we had to run the same set of operations for a while to hopefully reproduce this scenario. That took quite a bit of time and effort. Eventually, we figured out what was the root cause of the issue. In order to explain that, I need to give you a refresher on how Voron is handling I/O and persistent data. 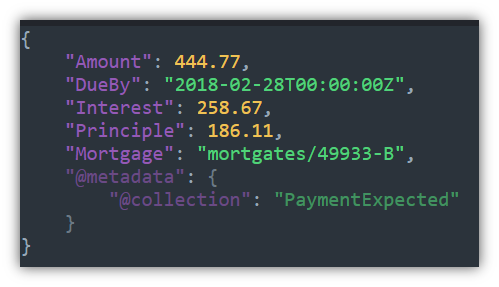 Scratch (MEM) – copy on write data for pages that are going to be changed in the transaction. Usually purely in memory. This is how we maintain the Isolated and Atomic aspects on ACID. 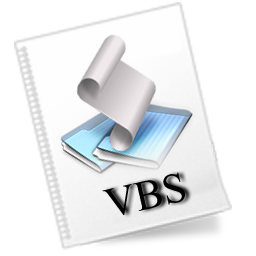 Journal (WAL) – sequential, unbuffered, writes that include all the modifications to the transaction. This is how we maintain the Atomic and Durability aspects in ACID. Flush (MMAP)– copy data from the scratch buffers to the data file, which allow us to reuse space in the scratch file. Sync – (FSYNC) – ensure that the data from a previous flush is stored in durable medium, allow us to delete old journal files. In Voron 3.5, we had Journal writes (which happen on each transaction commit) at one side of the I/O behavior and flush & sync as the other side. In Voron 4.0, we actually split it even further, meaning that journal writes, data flush and file sync are all independent operations which can happen independently. Transactions are written to the journal file one at a time, until it reach a certain size (usually about 256MB), at which point we’ll create a new journal file. Flush will move data from the scratch buffers to the data file and sync will ensure that the data that was moved to the data file is durably stored on disk, at which point you can safely delete the old journals. Have enough transactions happen quickly enough that the flush / sync operations are lagging by more than a single file behind the transaction rate. Have a transaction start a new journal file while the flush operation was in progress. Have, concurrently, the sync operation complete an operation that include that last journal file. Sync can take a lot of time. Have another flush operation go on while the sync is in progress, which will move the flush target to the new journal file. Have the sync operation complete, which only synced some of the changes that came from that journal, but because the new flush (which we didn’t sync yet) already moved on from that journal, mistakenly believe that this journal file is completed done and delete it. All of these steps, that is just the setup for the actual problem, mind you. In this case, we are prepared to have to this issue, but we aren’t yet to actually experience it. This is because what happened is that the persistent state (on disk) of the database is now suspect, if a crash happens, we will miss the oldest journal that still have transactions that haven’t been properly persisted to the data file. Once you have setup the system properly, you aren’t done, in terms of reproducing this issue. We now have a race, the next flush / sync cycle is going to fix this issue. So you need to have a restart of the database within a very short period of time. For additional complexity, the series of steps above will cause a problem, but even if you crash in just the right location, there are still some mitigating circumstances. 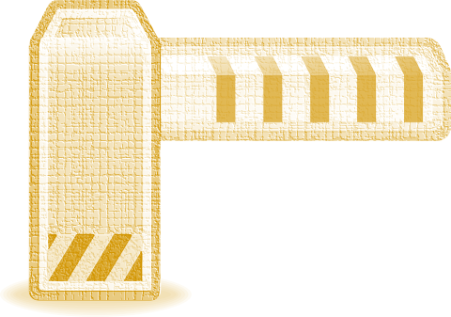 In many cases, you are modifying the same set of pages in multiple transactions, and if the transactions that were lost because of the early deletion of the journal file had pages that were modified in future transactions, these transactions will fill up the missing details and there will be no issue. That was one of the issues that made it so hard to figure out what was going on. We needed to have a very specific set of timing between three separate threads (journal, flush, sync) that create the whole, then another race to restart the database at this point before Voron will fix itself in the next cycle, all happening just at the stage that Voron moves between journal files (typically every 256MB of compressed transactions, so not very often at all) and with just the right mix of writes to different pages on transactions that span multiple journal files. These are some pretty crazy requirements for reproducing such an issue, but as the saying goes: One in a million is next Tuesday. What made this bug even nastier was that we didn’t caught it earlier already. We take the consistency guarantees of Voron pretty seriously and we most certainly have code to check if we are missing transactions during recovery. However, we had a bug in this case. Because obviously there couldn’t be a transaction previous to Tx #1, we aren’t checking for a missing transaction at that point. At least, that was the intention of the code. What was actually executing was a check for missing transactions on every transaction except for the first transaction on the first journal file during recovery. So instead of ignoring just the the check on Tx #1, we ignored it on the first tx on all recoveries. Of course, this is the exact state that we have caused in this bug. We added all the relevant checks, tightened the guard rails a few more times to ensure that a repeat of this issue will be caught very early and provided a lot more information in case of an error. Then we fixed the actual problems and subject the database to what in humans would be called enhanced interrogation techniques. Hammers were involved, as well as an irate developer with penchant to pulling the power cord at various stages just to see what will happen. We have released the fix in RavenDB 4.1.4 stable release and we encourage all users to upgrade as soon as possible. I talk a lot about the hiring process that we go through, but there is also the other side of that. When people leave us. Hibernating Rhinos has been around for about a decade, in that time it grew from a single guy operation to a company that cross the bridge from small to medium business a couple of years ago. When I founded the company, I had a pretty good idea of what I wanted to have. Actually, I had a very clear idea of what I didn’t want to have. The things that I didn’t want to carry over to my own company. For example, on call for 24/7 or working hours that exceed the usual norms or being under constant pressure. By and large, looking back at our history and where we are today, I think that we did a pretty good job at upholding these values. But that isn’t the topic of this post. I wanted to talk about people leaving the company. Given the time that we are in business, we actually have very little turnover. Oh, we had people come and go, and I had to fire people who weren’t pulling their weight. But those were almost always people who were at the company for a short while (typically under a year). In the past six months, we had two people leave that were with us for three and seven years (about three months apart from one another). That is a very different kind of separation. When I was told that they intend to leave, I was both sad and happy. I was sad because I hated to lose good people, I was happy because they were going to very good places. After getting over my surprised, I sat down and planned for their leaving. Israel has a month notice requirement, so we had the time to do things properly. I was careful to check (very gently) whatever this is a reversible decision and once I confirmed that they had made the decision, I carried on with that. Make sure that they are leaving on good terms and great spirits. Ensure proper handoff of their current tasks. Provide guidance about current and past tasks. Map area of responsibilities and make sure that they are covered after they are gone. The last three, I believe, are pretty common goals when people are leaving, but the most important piece was the first one. What does this mean? I wrote each of them a recommendation letter. Note that they both already had accepted positions elsewhere at that time, so it wasn’t something they needed. It is something that they might be able to make use of in the future, and it was something that I wanted to do, formally, as an appreciation for their work and skills. As an aside, I have an open invitation to my team. I’ll provide both recommendation letters and serve as a reference in any job search they have, while they are working for us. I sometimes get CVs from candidates that explicitly note: “sensitive, current employer isn’t aware”. I don’t want to be the kind of place that you have to hide from. We also threw each of them a going away party, with the entire company stopping everything and going somewhere to celebrate. I did that for several reasons. First, each of them, in very different ways, contributed significantly to RavenDB. It was a joy to work with them, I don’t see any reason why it shouldn’t be a joy to see them go. I can certainly say that not saying goodbye properly would have created a bad taste for the entire thing, and that is something that I don’t want. Third, there is the saying about “if you love someone, let them go…”. I think that a really good way to make people want to leave is to make it hard to do so. By making the separation easy and cordial, the people who stay know that they don’t need to fear or worry about things if they want to see what else is available for them. The last few statements came out a bit colder than I intended them to be, but I can’t really think about a good way to phrase the intention that would sound like that. I don’t like that these people left, and I would much rather have them stay. But I started out from the assuming that they are going to leave, and the goal is to make the best out of that. I was careful to not apply any pressure on them to stay regardless. In fact, in one case, I upfront apologized to the person on the way out, saying: “I want you to know that I’m not pressuring you to stay not because I want you to go, but because I respect your decision to leave and don’t want to make it awkward”. Fourth, and coming back to the what I want to have as a value for the company, is the idea that I wouldn’t mind at all to be a place where people retire from. In fact, I decidedly want that to be the case. And we do a lot of work to ensure that we are the kind of place that you can be at for long period of times (investing in our people, working on cool stuff, ensuring that grunt work is shared and minimized, etc). However, I would also take great pride in being the place that would be a launching pad to people’s careers. In closing, people are going to leave. If it is because of something that you can control, that should be a warning sign and something that you should look at to see if you can do better. If it is out of your hands, you should accept it as given and make the best of it. I was very sad to see them go, and I wish them all the best in their future endeavors.